Research from Gressingham Duck suggests that around 80% of us eat duck each year, but almost always when we’re eating out. Very few of us eat duck at home, often because we think it’s hard, or messy, or complicated. I stand guilty as charged. I have cooked duck at home but only very occasionally and I'm really not quite sure why. This might be about to change. A quacking (sorry!) parcel of goodies arrived for me to get experimental with. A whole bird plus 2 legs and 2 breasts along with an apron, chopsticks and cooking thermometer. 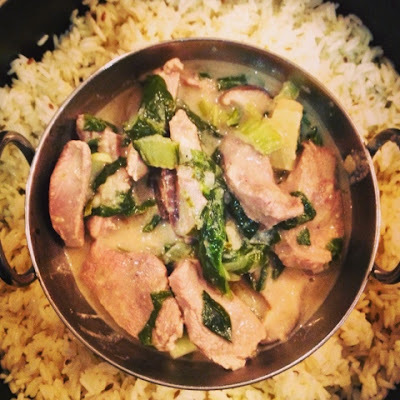 One of my Facebook likers suggested a Thai Duck Curry. Not something that would have immediately sprung to mind but I decided to have a go at creating one. Remove the skin from the duck breasts and slice across the grain into 1cm strips. Finely shred the shallots and fry in a casserole dish with the chilli rapeseed oil. Add the garlic, ginger, lemongrass, thai spice paste, fish sauce and shredded kaffir lime leaves. Next add the duck and cook for a few minutes until it is coloured on all sides. Mix through the creamed coconut and let it melt down before adding the contents of a tin of coconut milk. Slice the shitake mushrooms and chop the pineapple into chunks. Add them to the pan along with the 3 whole kaffir lime leaves. 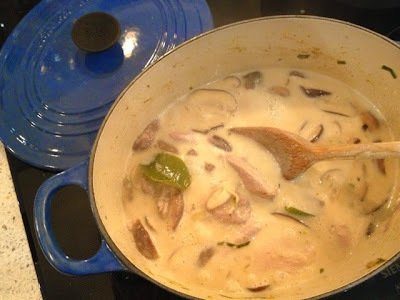 Adjust the heat until everything is simmering, cook for 45 minutes or until the duck is tender. Stir occasionally. Shred the pak choi and add to the dish for the last 5 minutes of cooking time. Remove the three whole kaffir lime leaves, season with lime juice and serve with Thai Jasmine Rice. I was so pleased with how this dish turned out. The duck was unbelievably tasty and tender and the combination of thai flavours along with the crunch of pak choi and pineapple provided a fantastic contrast of textures. 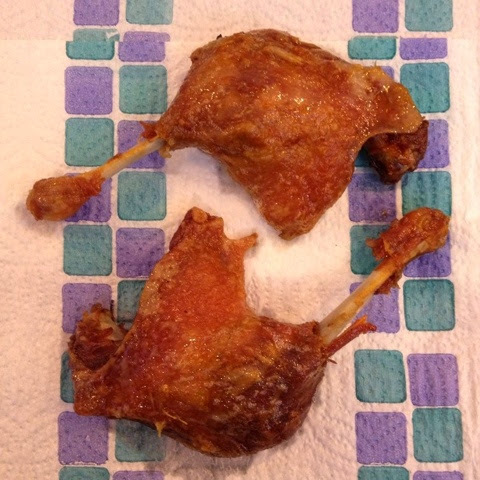 My 12 year old son has ambitions to be a mini masterchef and was keen to use his talents on the duck legs. 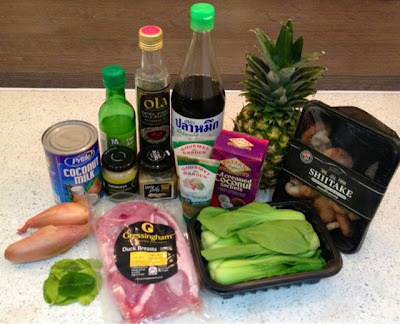 Having scoured the internet for inspiration he set to work to confit the duck legs. Following a dry rub of salt, smoked salt, star annise and Chinese five spice he cooked them low and slow in a roasting tin full of duck fat. The resulting meat was shredded, mixed with julienne leeks and carrots and wrapped in filo pastry. 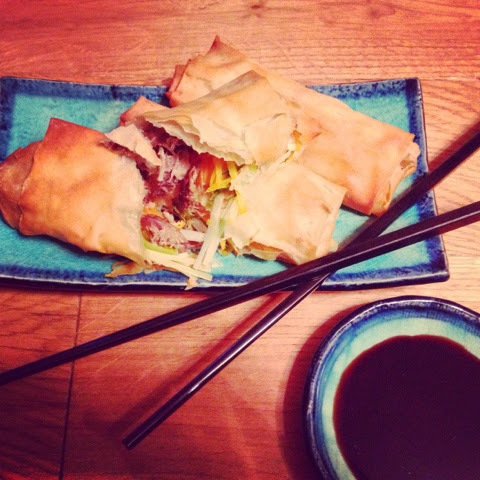 The parcels were brushed with melted butter and baked in the oven to create wonderfully aromatic oriental duck spring rolls. But he didn't stop there. 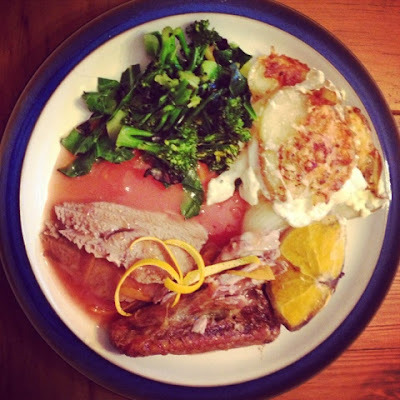 For my birthday meal I was treated to whole roasted Gressingham Duck a'lorange with dauphinoise potatoes and stir fried greens. He followed the Hairy Bikers recipe for Duck a'lorange and it was absolutely delicious. I hope he remembers his poor old Mum when he's a rich and famous celebrity chef. Are you a fan of duck? 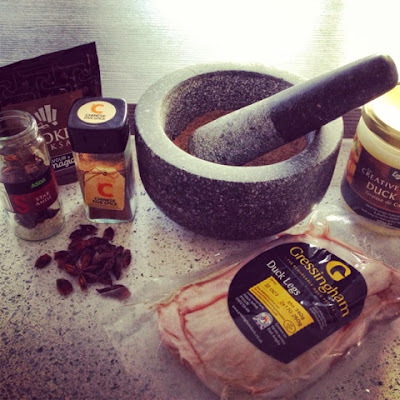 Is it something that you enjoy to eat when out or are you equally happy cooking with it a home? 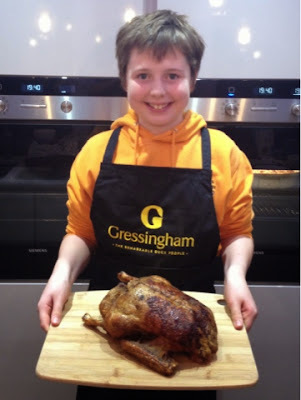 I'd love to hear what you do with it so please leave me a comment and inspire me - and my son Kyle - to keep cooking with this tasty bird. 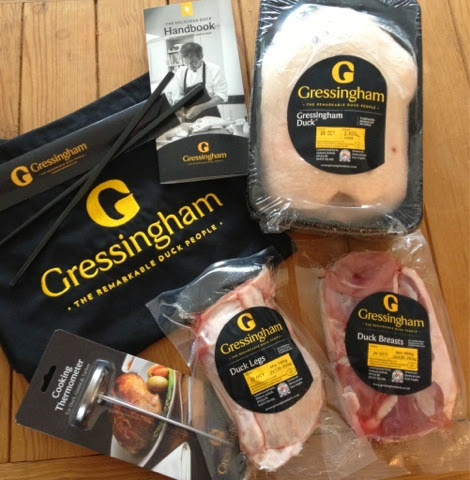 Disclaimer : Gressingham Duck provided me with a selection of products and a supermarket gift card to purchase additional ingredients. All views expressed are my own. Since writing this post I seem to be seeing duck everywhere! Hope that you manage to track some down.